When you walk with confidence, it doesn’t matter how many dogs you have – walking on a lead is easy! With over forty years’ experience, I specialize in correcting behavioral issues including obsessive, hyperactive, inappropriate and aggressive behaviors. 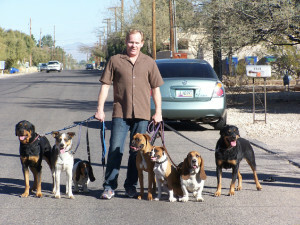 I teach you the skills to provide the proper leadership your dog is waiting for and can help you tackle everything from basic to advanced obedience, walking on a lead to social skills. 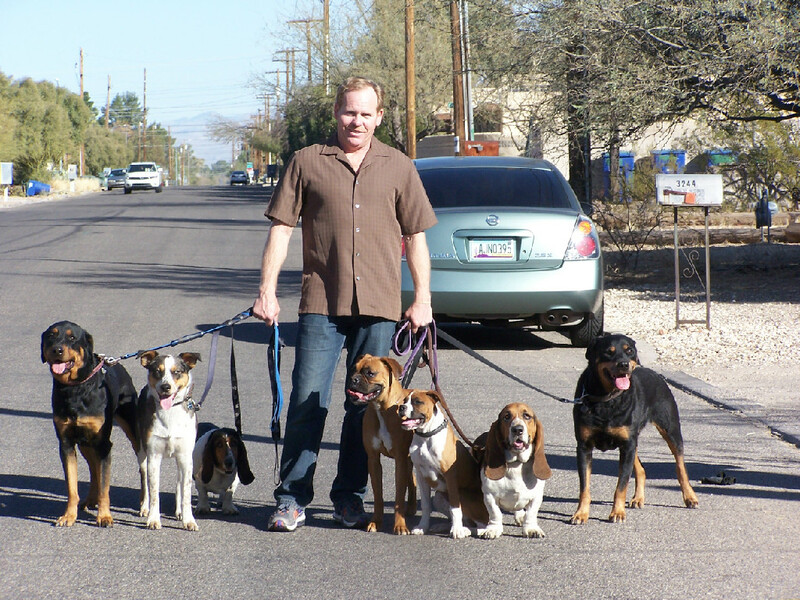 My philosophy is simple – dog friendly training with a calm and positive approach. Successful dog trainers understand how dogs process information, what information is meaningful to dogs, operant conditioning, and the absolute necessity of consistency and timing. What I do is teach people what makes professional dog trainers successful and help them find the method that works best for them. The key to successfully building a lasting bond with your new best friend is the understanding that dogs require guidance and leadership. They need to be told where to go, where not to go, what to do, and what not to do – clearly and consistently. It’s not about what dogs like or don’t like – it’s about exposing them to everything you can think of, positive experiences, and routine. The first thing I do is teach a dog how I plan to communicate with it. A dog has to understand what is expected of it and that when it responds, awesome things happen. Patience is everything—you have to allow your dog to succeed and reward that success, whether that be with big hugs, kisses, kind words, or treats. 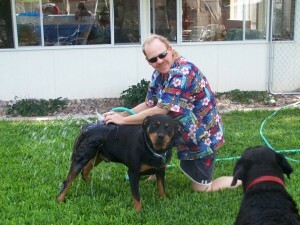 All of this works to build trust, respect, and a lasting bond with your dog. If you do that, no dog is untrainable, no matter the age or the breed.